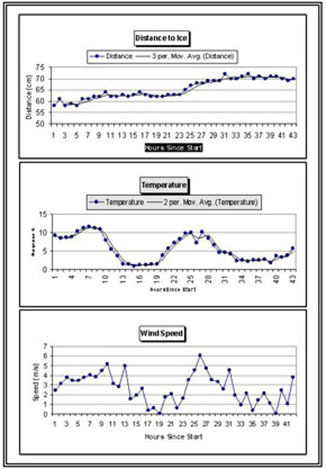 The GASS* was designed, fabricated and deployed by MTRI, USGS, and BLM scientists to record, on a hourly basis, data describing the horizontal and vertical (melt) movement of a glacier, as well as meteorological data including temperature, wind speed, humidity, barometric pressure, and upward and downward looking light intensity. The GASS unit employed a rechargeable battery and solar panel to provide at least 4.5 months of power, and a micro-processor to manage the power, data collection and storage. 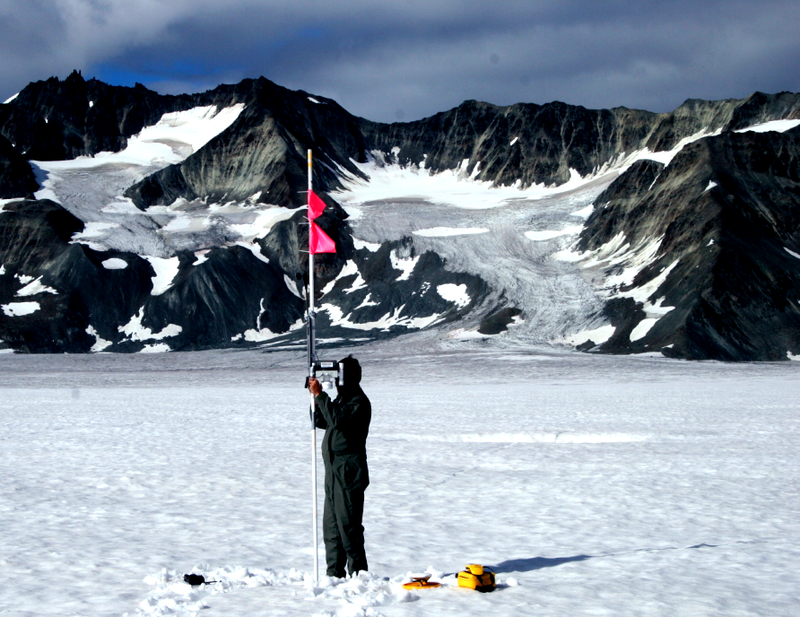 A WAAS enabled GPS recorded position and time for each measurement, and an acoustic sensor was used to measure absolute distance between the GASS unit and glacier to provide the required melt information. The Bering Glacier is undergoing extensive ablation or melt. 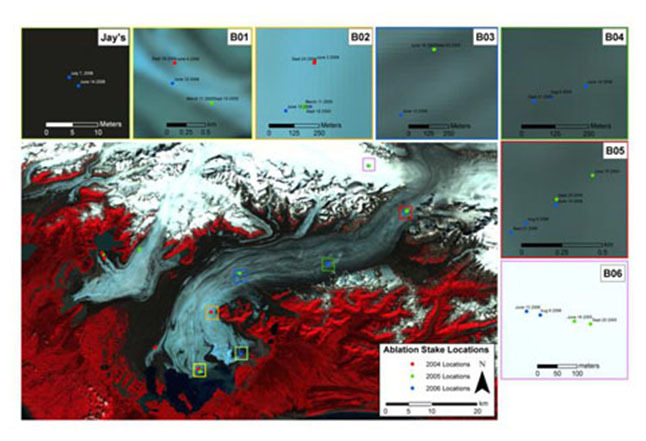 Since the last surge, which ended in 1995, the glacier terminus has retreated approximately 0.4-0.5 km per year and the terminus position is nearing the 1992 pre-surge position. The glacier is presently melting approximately 8 -10 meters at the terminus and 3.5-6.0 meters slightly below the snow equilibrium line each year. 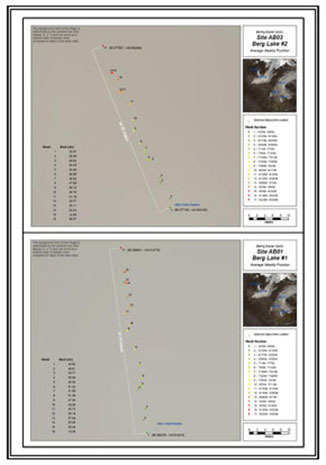 The average daily melt for Bering Glacier is approximately 4-5 cm/day at mid-glacier, and this melt rate appears to be steady regardless of light and/or precipitation conditions. The large amount of melt from the Bering Lobe of this glacier system generates between 8-15 cubic kilometers of fresh water yearly, which flows directly into the Gulf of Alaska, potentially affecting its circulation and ecosystem. From 1957 to 2004 the Bering Lobe has loss approximately 13 percent of its total mass.